The new Hyundai i30 will deliver value and great motoring. This is the new generation Hyundai i30 with the firm confirming the hatchback will be the first in a family of new models. 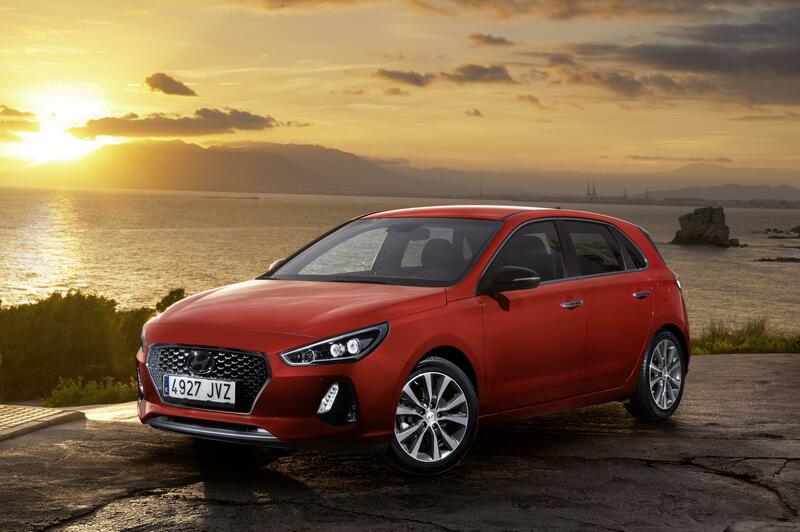 Prices for the new generation i30 begin from £16,995 with buyers having the opportunity of a car with the firm’s new 1.4 litre T-GDI engine which produces 140 PS. There’s also an impressive 1.0 litre three-cylinder T-GDI available for the first time. As usual, the Hyundai i30 offers lots of standard equipment to help make it a cracking value for money car, and with its excellent warranty offering it is a sound choice for families. Among the kit available is forward collision warning system, autonomous emergency braking, lane departure warning, lane keep assist as well as hill start assist. There’s also a lot of connectivity and standard equipment fitted as standard too including Bluetooth connectivity. The entry-level model for the Hyundai i30 delivers a 1.0 litre engine producing 120 PS which is coupled to a six-speed manual gearbox along with 15-inch alloy wheels, DAB radio, LED daytime running lights, steering wheel controls and electric windows. Other trims in the range come with larger alloy wheels, front foglamps, a 5-inch touchscreen and a leather steering wheel. However, these i30 trims also come with the rather helpful rear view camera and parking assist. The top spec models for the i30 have satnav, a larger touchscreen and Bluetooth with voice recognition along with wireless phone charging. Among the options is a visibility pack which offers dual zone climate control and 17-inch alloy wheels. Drivers that opt for the Hyundai i30 Premium SE will have a car with panoramic sunroof, heated steering wheel and leather seats with a choice of a six-speed manual gearbox or a seven-speed automatic box. There’s no doubt the i30 offers an interesting alternative in what is a competitive segment and since its launch in 2007 it’s proved popular with UK drivers with more than 117,000 units sold. The new Hyundai i30 goes on sale from 1 March with the firm’s hugely attractive five-year unlimited mileage warranty along with a five-year roadside assistance package and a five-year annual health check. There’s also a 12-year anti-corrosion warranty. This entry was posted in Car Leasing, Cars, Family Car, New Cars and tagged hyundai i30 by Steve Lumley. Bookmark the permalink.